Dolly Chart Updates From Australia, Ireland, U.K.
With re-issue of a Dolly compilation from six years ago Down Under to celebrate her upcoming tour there, it appears twice on the Australian country albums chart. The Very Best Of Dolly Parton, Volume 1 slips five places to No. 23 in its 302nd week on the tally, but The Very Best Of Dolly Parton: Australian Tour Edition, which combines Volume 1 and Volume 2 from the Very Best series and re-releases them in one case as a two-disc set, debuts at No. 21 on the list, while The Essential Dolly Parton falls four to No. 27 for a 62nd chart week there. In Ireland, the recently-released three-disc compilation The Real Dolly Parton dips six spots to No. 74 in its 11th week on the Irish pop albums chart. And in the U.K., the British country compilations chart sees Emmylou Harris's Original Album Series, Volume 2 (featuring one track with Dolly harmony and two tracks with Trio harmony by Dolly and Linda Ronstadt) lose three to No. 7 in its 16th week on the chart, while her first Original Album Series, Volume 1, released in 2011, holds steady at No. 3 on the same list in its 15th week back on the tally with two Dolly covers, one track with Dolly harmony and one track with Trio harmony, and Ronstadt's own Original Album Series (also from 2011 and featuring one Dolly cover and one track with Dolly harmony) falls back out of the top 20, down from No. 19 for an 11th week back on the charts this year. Thanks to Laurent from France who alerted me to a celebrity news site in France that included a great aerial shot of Dolly's home in its piece on stars' houses in Music City. Check it out here. Amazon.com has begun taking advanced orders for two upcoming Australian Dolly releases: her Blue Smoke album, being released Down Under Jan. 31 � about four months prior to its U.S. and European street dates � is being shown as available Feb. 4 as an import here, while the repackaging of both Very Best Of volumes into one double-disc compilation, The Very Best Of Dolly Parton: Australian Tour Edition, is shown as available as an import Dec. 31 here. It was good while it lasted. The new Grammy-nominated Kenny Rogers and Dolly duet "You Can't Make Old Friends" drops off the 60-position country singles airplay chart after one week at No. 57, the Jan. 4 Billboard tallies released Friday revealed. Rogers's album containing the song, You Can't Make Old Friends, falls off the top 50 country albums chart, down from No. 49 in its 10th week. The duo's holiday album Once Upon A Christmas gains one to No. 43 pop catalog albums in its sixth week there this year and 22nd since release, holds steady at No. 8 country catalog albums in its eighth chart week there this year and 91st week since release and falls 21 places to No. 179 pop in its fifth week this year and 26th since release. Willie Nelson's To All The Girls, also with a new Dolly duet, holds steady at No. 32 country and dips seven to No. 149 current albums for its 10th chart week. I Will Always Love You: The Best of Whitney Houston, with the late singer's version of Dolly's title song, re-enters the 50-position R&B/hip-hop albums chart at No. 46 for a 54th week. With Lifetime UK airing A Country Christmas Story, the new Lifetime holiday movie featuring Dolly that aired in the U.S. a few weeks ago, the British website for the network has posted several Dolly-centered features. The three parts are called "The Great Dolly Parton Love-In" and you may read part one ("Why it's totally okay to love Dolly Parton to an extent that's sort of weird") here, part two (a continuation of the first discussion) here and part 3 ("why Dolly Parton is my feminist role model") here. In related news, the movie airs again in the States on Lifetime Movie Network at 8 p.m. Eastern Christmas Day and midnight Thursday morning. Celebrity magazine Closer Weekly says Dolly is considering renewing her vows with Carl Dean on their 50th wedding anniversary in 2016. The story is in the edition on newsstands now with Dolly on the cover, and an excerpt is available online here which prompted several mentions in other media outlets on Tuesday. Dolly on Monday e-mailed a holiday greeting message to fans who have signed up for her DreamMore Resort's Founders' Club. It read: "I truly hope you enjoy a Christmas full of peace, love and wonder. Take time to remember the found traditions of Christmas past as you gather with loved ones to make new traditions and memories to last for years to come." Every year, Dolly is rumored to be a headliner for Glastonbury, one of the oldest and largest music festivals in Great Britain, and rumors resurfaced this year with greater intensity given that her Blue Smoke World Tour will have her in England during the festival weekend with an open night on her calendar. On Monday, The Sun, one of England's equivalents of the American "supermarket tabloid" style newspaper, published a report quoting "a source" saying she will, in fact, play the festival on Sunday, June 29, in the headlining spot reserved for music legends. The "insider" reported she would take a helicopter to the festival from London, where she will be performing at the O2 Arena on Friday and Saturday nights. Although The Sun is considered a gossip magazine in the U.K., its reporting is usually more accurate than American "tabloids" like The National Enquirer because more stringent libel laws in England offer fewer protections for members of the press when false information is reported. Consequently, the report was picked up by dozens of mainstream media outlets around the country including The London Standard here and The London Telegraph here. Festival organizers have made it known for years that Dolly is one of their "dream bookings" to have play the festival, but in the past each year's rumors that she was to headline have proven false. Amazon over the weekend added a slew of entries in Sony's new The Box Set Series through its Legacy imprint, including a Dolly entry. The 30 different releases � from artists as varied as George Jones and Waylon Jennings to Cheap Trick and Kansas � each feature four CDs. Several installments in the "budget priced" series were originally released in 2009 as three-CD sets, although Dolly was not included at that time. There is no word on track listings. The boxed set series hits stores Jan. 28 and each title is available from Amazon for pre-ordering at about $22 each. Get Dolly's here! Another Dolly interview to promote her upcoming Blue Smoke World Tour came out over the weekend, this one with The New Zealand Herald. Take a read here. The Very Best Of Dolly Parton, Volume 1 regains four spots to No. 18 on the top 40 Australian country albums chart, marking its 301st week on the tally Down Under, while The Essential Dolly Parton gains six to No. 23 for a 61st chart week there. On the British country compilation charts, Emmylou Harris's Original Album Series, Volume 2 (featuring one track with Dolly harmony and two tracks with Trio harmony by Dolly and Linda Ronstadt) loses the top spot on this week, dipping three to No. 4 in its 15th week on the chart, while her first Original Album Series, Volume 1, released in 2011 and the chart's top performer two weeks ago, falls two to No. 3 on the same list in its 14th week back on the tally with two Dolly covers, one track with Dolly harmony and one track with Trio harmony. Ronstadt's own Original Album Series (also from 2011 and featuring one Dolly cover and one track with Dolly harmony) re-enters the top 20 at No. 19 for an 11th week back on the charts this year. The album will be released Down Under Jan. 31 while fans in the Northern Hemisphere will have to wait until May for a U.S. and European version. No word on whether the track listing may be different here or have any bonus tracks. In other news, she promoted the CD and her upcoming Blue Smoke World Tour with an interview in Las Vegas Magazine this week. Read it here. "You Can't Make Old Friends" by Kenny Rogers and Dolly holds steady at No. 6 on this week's countdown on Great American Country. Vote for it in next week's charts on GAC here and CMT here. Overseas, the three-disc compilation The Real Dolly Parton shoots up 14 places to No. 68 in its 10th week on the Irish pop albums chart. Sylvester Stallone was on The Tonight Show with Jay Leno this week and in discussing his singing ability (they were talking about the new Rocky musical which he helped create but in which he does not perform) he said his singing is bad enough to haunt. He brought up his 1984 musical with Dolly, Rhinestone, saying: "I sang with Dolly Parton, then I realized, 'God what a fool I am.' Oh my God, seriously. If you ever want somebody to haunt a ship, get a record of that." Leno then showed a clip of him performing "Drinkenstein" from the movie. Check out the footage here. The Dec. 28 Billboard charts hit the web on Thursday and as was previously reported here Monday night, Kenny Rogers and Dolly's new duet "You Can't Make Old Friends" debuts at No. 57 country singles airplay. Their holiday collection Once Upon A Christmas dips six to No. 158 pop in its fourth week this year and 25th since release, one to No. 44 pop catalog albums in its fifth week this year and 21st since release and one to No. 8 country catalog albums in its seventh chart week this year and 90th since release. Dolly's song "Hard Candy Christmas" falls back off the 50-position holiday digital songs tally, down from No. 49 in its seventh week this year, its 25th week since release. Willie Nelson's To All The Girls, featuring a new Dolly duet, loses three to No. 32 country and No. 142 current albums for its ninth chart week. Kenny Rogers's You Can't Make Old Friends, featuring their newly-charted duet on the title track, slides six to No. 49 country in its 10th week. Although a first pre-sale for subscribers to Dollywood's e-mail lists started on Monday, a second pre-sale for readers of Dolly's official record label website and social media outlets begins at 10 a.m. Eastern Thursday (that is the time listed on the ticket sales website, although the official announcement said 9 a.m. Eastern) for her May 28 fundraising show in Knoxville, Tenn. Using the code BLUESMOKEFANS, tickets will be available here. Then they go on sale to the general public starting Friday here. In other tour news, Big Issue on Wednesday posted the entire interview she did with the British publication in advance of that leg of the tour (a preview of the interview had been posted a few days ago and previously linked to from here). Read it here. St. Mark Catholic Church reports that their Dolly concert in Richmond, Ky., is selling super-fast and updated the church's website Tuesday to note that Grand Tier 1 seats are now sold out, although new boxes have been added to both the ground floor and second floor and great seats remain available on the ground floor in both Orchestra 1 and Orchestra 2, with a few left in Grand Tier 2. Only about 600 tickets remain unsold at this time. Get yours here! In other tour news, she appeared on Australia's 3AW radio for an interview to promote that leg of the tour. Take a listen here. TG Sheppard and wife Kelly Lang are releasing a new collection of duets called Iconic Duets, and Billboard reports that among the classics they cover is Kenny Rogers and Dolly's "Islands In The Stream." Read more here. It took a Grammy nomination for country radio to take notice and start playing Dolly's newest duet with Kenny Rogers, "You Can't Make Old Friends." The track debuts this week at No. 57 on the Dec. 28 country airplay singles chart that will be released in full on Thursday, Billboard magazine revealed Monday. It marks Dolly's 108th chart country single of her career, extending her chart history to 46 years long, although it marks the sixth decade in which she has scored a charted song (1960s, 1970s, 1980s, 1990s, 2000s, and 2010s). It's her first appearance on the chart since "Jesus and Gravity" went to No. 56 in 2008. It's her fifth chart duet with Kenny Rogers, following "Islands In The Stream" (No. 1 country and pop, 1983), "The Greatest Gift Of All" (No. 53 country, No. 81 pop, 1984), "Real Love" (No. 1 country, No. 91 pop, 1985) and "Love Is Strange" (No. 21 country, 1990). Down Under, the 2007 compilation The Very Best Of Dolly Parton, Volume 1 inches down one to No. 22 in its 300th week on the top 40 Australian country albums tally while The Essential Dolly Parton falls seven to No. 29 for a 60th chart week. On the British country compilation charts, Emmylou Harris's Original Album Series, Volume 2 (featuring one track with Dolly harmony and two tracks with Trio harmony by Dolly and Linda Ronstadt) rises one to No. 1 in its 14th week on the chart, while her first Original Album Series, Volume 1, released in 2011, trades places with a one spot decline to No. 2 on the same chart in its 13th week back on the tally with two Dolly covers, one track with Dolly harmony and one track with Trio harmony. Don't forget that pre-sale tickets for Dolly's May 28 Knoxville stop on her Blue Smoke World Tour go on pre-sale at 10 a.m. Eastern Monday here using the code BLUESMOKE2014. In other tour news, a brief about her May 27 concert in Richmond, Ky., made The Lexington Herald-Leader over the weekend here. You still have a few days left to catch Dollywood's Christmas Carol with the Dolly hologram as the Ghost of Christmas Past. The Bristol Herald Courier provided a story about the show over the weekend here. It's time for the annual Oxford American "Southern Music Issue," which this year focuses on Dolly's home state of Tennessee and includes her cover of Billy Joel's "Travelin' Prayer" among the selections to represent the state in the issue's two-CD music sampler. Hear more about the issue from NPR here including why they chose a Dolly cover instead of one of her originals. According to a piece in Tennessee's The Cleveland Banner, former Dollywood performer James Rogers has recorded a CD with Dolly to be released in 2014. See the story that mentions it here. Entertainment Weekly is seeking votes for the best version of "Rudolph The Red Nosed Reindeer," which includes Dolly's on the ballot. Vote here. One day after Dolly's management announced via her record label website and Facebook page the Dec. 19 pre-sale for the May 28 fundraising concert in Knoxville to benefit her Imagination Library and the Dr. Robert F. Thomas Foundation, the details have changed. Information about the pre-sale was removed from both her record label website and her Facebook page on Friday, and an e-mail was sent to the Dollywood subscriber database offering a different code (BLUESMOKE2014) and a pre-sale that will run from 10 a.m. Dec. 16 through Dec. 19 before the tickets go on sale to the general public on Dec. 20. The e-mail also disclosed that prices for the show will be $60 for floor and lower bowl, $50 for back of lower bowl and $40 loge and upper bowl. Get your tickets starting Monday here! In related news, in advance of the European leg of the tour U.K. magazine The Big Issue has an interview with her, excerpts from which they posted to their website here, and London's The Times has an interview, accessible for subscribers only, here. 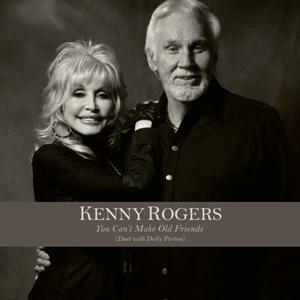 "You Can't Make Old Friends" by Kenny Rogers and Dolly dips one to No. 6 on this week's countdown on Great American Country. Vote for it in next week's charts on GAC here and CMT here. Overseas, the three-disc compilation The Real Dolly Parton regains three slots to No. 82 in its ninth week on the Irish pop albums chart. It had been previously reported that Dolly's fundraising concert in Knoxville on May 28 would have a pre-sale beginning Dec. 19. Now, we have the pre-sale code and link, which were released Thursday via Dolly's Facebook page. The pre-sale takes place here starting 10 a.m. Eastern Dec. 19 using the code BLUESMOKEFANS. Tickets will go on sale to the general public starting Dec. 20 here. In other tour and album news, Dolly appeared on the Australian Broadcasting Company's Radio National program RN Friday morning for an interview available here to promote that leg of the tour, and she was interviewed by Australia's Star Observer here. 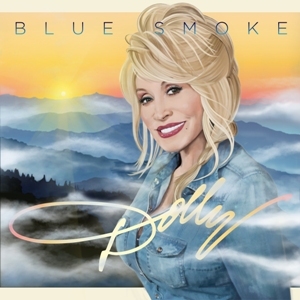 Also, audio of the album/tour's title track, "Blue Smoke," was released via her official Vevo video channel here, but it is nation-restricted so it is unavailable in the U.S.
People magazine this week celebrated Dolly's Grammy nomination with Kenny Rogers by looking back at their two previous nods from the Recording Academy. Check out that piece here. Kenny Rogers and Dolly's 1984 holiday collection Once Upon A Christmas makes some significant inroads this week on the Dec. 21 Billboard tallies released Thursday. The collection re-enters the top 200 pop albums chart at a new high for this year, coming in at No. 152 in its third week this year and 24th since release. It also re-enters the 50-position pop catalog albums list at No. 43 in its fourth week this year and 20th since release, and it gains seven to No. 7 country catalog albums in its sixth chart week this year and 89th since release. Dolly's holiday single "Hard Candy Christmas" from 1982 slides a dozen digits to No. 49 in its seventh week this year on the holiday digital songs chart, its 25th week on the chart since release. Willie Nelson's To All The Girls, with a new Dolly duet, gains three to No. 29 country and 31 to No. 139 current albums for its eighth chart week. Kenny Rogers's You Can't Make Old Friends, also featuring a new Dolly duet, regains seven to No. 43 country in its ninth week. Overall, the new Garth Brooks boxed set Blame It All On My Roots: Five Decades Of Influences holds steady at No. 1 country in its second chart week and gains two to No. 1 pop with 146,000 copies sold, while Duck Dynasty's Duck The Halls: A Robertson Family Christmas holds on at No. 2 country and slips one to No. 5 pop in its sixth week. New chapters of Dolly's Imagination Library literacy project are celebrating early successes. In Greene County, Ohio, they registered more than 1,500 children in the program's first month there, The Yellow Springs News reports here, and in Pearl River County, Miss., they signed up 500 children, The Picayune Item reported here. Fans Down Under will also get a repackaged Dolly compilation this month. Sony will release on Dec. 20 a 40-song, two-disc set Very Best Of Dolly Parton: Tour Edition, which combines the previous Very Best Of Dolly Parton, Vol. 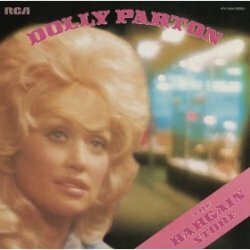 1 and Very Best Of Dolly Parton, Vol. 2 into one package plus the addition of "Do I Ever Cross Your Mind," which did not appear on the original. More release information on Dolly's Blue Smoke album came out on Monday, noting the project's Jan. 31 release in Australia and New Zealand and a yet-to-be-announced date in May for its U.S. and European release. The release periods were as expected, since Dolly had indicated in interviews that the album would first come out Down Under in anticipation of that leg of her world tour and then follow with a separate U.S./European release several months later to coincide with those legs of the tour. Surprising, however, was the announcement that the album will be released by her label Dolly Records in worldwide partnership with Sony Masterworks. That division of Sony Music specializes almost exclusively in classical music, Broadway cast albums and jazz, so their release of a country roots project is quite unusual. In a press release, Sony Masterworks President Bogdan Roscic said: "We at Masterworks think that�Blue Smoke�sits with�Dolly Parton's�very best recorded work, as global audiences will discover when she begins her world tour in�January 2014. We're very happy to be associated with this great American music artist." Although Dolly left Sony's Columbia imprint in 1996, she has remained connected to the company, supervising release of a career-spanning compilation through Sony in 2003 and using Sony U.K. to release the European versions of her two most recent albums, 2009's Live From London and 2011's Better Day. Kenny Rogers on Monday issued a statement reacting to his and Dolly's Grammy nomination for their duet "You Can't Make Old Friends." He said: "I'm excited and very flattered about this opportunity and am convinced I should work with Dolly more often if we're getting these kinds of results." The song is up for Best Country Duo/Group Performance. If you missed the couple's Great American Country half-hour interview special, Kenny & Dolly: An Intimate Conversation, which premiered Monday, it repeats at 8 p.m. Eastern on Tuesday. Dolly on Friday night managed to maintain her record as the most-nominated female artist in the 56-year history of the Grammy Awards, snagging her 46th career nod from the Recording Academy as "You Can't Make Old Friends" with Kenny Rogers received the nomination in the Best Country Duo/Group Performance category. Beyonce, who tied her record last year, also added one nomination on Friday night (with husband Jay Z for Best Rap Sung Collabroation on "Part II (On The Run)"). The nomination marks Dolly's seventh in this category which she won with Linda Ronstadt and Emmylou Harris in 1987 for their Trio project. She has previously been nominated four times with Porter Wagoner (1969, 1970, 1971, and 1973), once with Trio and once with Rogers (1985) � this doesn't count her six additional nominations (including one win) when the category was split into two (duo/group for regularly-performing combos and "country collaboration with vocals" for duos or groups that temporary form and don't normally perform together) for the 1990s and 2000s (the collaboration category has now been eliminated and the duo/group category returned to its pre-1990s qualifications). This marks her third nomination with Rogers, as they also shared a Pop Duo or Group nomination in 1983. Their competition for the award this time are "From This Valley" by The Civil Wars, "Don't Rush" by Kelly Clarkson and Vince Gill, "Your Side Of The Bed" by Little Big Town and "Highway Don't Care" by Tim McGraw, Keith Urban and Taylor Swift. Winners will be announced Jan. 26, although most awards are given off camera prior to the award show broadcast on CBS. The first additional details regarding one of the four new concerts Dolly announced last week came out over the weekend. Her official Facebook page revealed that the May 28 Knoxville fundraising show at the University of Tennessee will take place in Thompson-Boling Arena, where she kicked off her 2011 Better Day World Tour in another charity concert. In addition, the Facebook listing also announced that pre-sale tickets for that show will become available Dec. 19. No ticket information for the other three new concerts � two in Tulsa, Okla., and one in Cherokee, N.C. � has been made available yet. Coverage of the tour announcements made several national media outlets, including USA Today here and Billboard magazine here, in addition to local media such as Tulsa World here, Knoxville's WATE television here and The Richmond Register in Kentucky here. On the Great American Country video countdown last week, Kenny Rogers and Dolly's "You Can't Make Old Friends" remained steady at No. 5. Vote for it in next week's charts on GAC here and CMT here. Overseas, the three-disc compilation The Real Dolly Parton falls another 16 places to No. 85 in its eighth week on the Irish pop albums chart. Down Under, the 2007 compilation The Very Best Of Dolly Parton, Volume 1 inches down one to No. 21 in its 299th week on the top 40 Australian country albums tally while The Essential Dolly Parton regains two to No. 22 for a 59th chart week. On the British country compilation charts, Emmylou Harris's Original Album Series, Volume 2 (featuring one track with Dolly harmony and two tracks with Trio harmony by Dolly and Linda Ronstadt) holds steady at No. 2 in its 13th week on the chart, while her first Original Album Series, Volume 1, released in 2011, leapfrogs it with a two-digit rise to No. 1 on the same tally in its 12th week back on the tally with two Dolly covers, one track with Dolly harmony and one track with Trio harmony. Ronstadt's Original Album Series (also from 2011 and featuring one Dolly cover and one track with Dolly harmony) falls back out of the top 20, down from No. 20 in its 10th week back on the charts. You only have mere days left to enjoy Dolly's theme park in the Smokies before it closes down for the year. The 2013 Dollywood season ends January 4, but being closed on Tuesdays and Wednesdays through the rest of the month plus Mondays this week and next means its Smoky Mountain Christmas festival will only be open 18 more days until the season is gone. The park re-opens with the debut of the new Fire Chaser Express coaster March 22, 2014, and Dolly is usually on hand to officially open each season's new attraction. Her usual next return to the park is her annual Homecoming Parade, which is scheduled next year for May 2. Dolly's management on Friday morning revealed four new U.S. dates in her Blue Smoke World Tour and officially announced the seven existing dates that had already been reported on Dollymania.net and have been on sale for several weeks. The announcement gave no word on whether or not any additional U.S. shows will be forthcoming, and ticket sale information for the four new concerts was not revealed. In a press release making the announcement, Dolly said: "It's always great to perform at home in the good ol' USA. We're kicking off our Blue Smoke World Tour right here at home. I love traveling all over the world; but it's true, there's nothing like home." The new shows are May 22 and 23 at the Hard Rock Casino in Tulsa, Okla., May 25 at Harrah's Casino in Cherokee, N.C. (directly on the other side of the Great Smoky Mountain National Park from Dollywood) and May 28 at the University of Tennessee in Knoxville as a benefit concert for her Imagination Library literacy charity and the Dr. Robert F. Thomas Foundation at Sevierville's LeConte Medical Center, which provides health care assistance for residents in her home county. She had announced in August that she would be doing a benefit show in the East Tennessee area for the two organizations in spring 2014 as part of the tour (although the announcement listed it as a benefit for Imagination Library only, which I assume is an error). The existing dates that have already been reported here but have been missing from her official tour itinerary for the past few months are Jan. 24 at the Agua Caliente Casino in Rancho Mirage, Calif. (on sale since Nov. 2), Jan. 25 at Star of the Desert Arena in Primm, Nev. (on sale since Nov. 26), Jan. 26 at the Reno Events Center in Reno, Nev. (on sale since Nov. 21), Jan. 28 at the Comerica Theatre in Phoenix, Ariz. (on sale since Nov. 6), May 27 at St. Mark Catholic Church/Eastern Kentucky University Arts Center in Richmond, Ky., as a benefit for St. Mark's Evening Among Friends (on sale since Nov. 26) and May 30 and 31 at the Winstar Casino in Thackerville, Okla. (on sale Nov. 22). Dolly's "Hard Candy Christmas" re-enters the 50-position holiday digital songs chart this week, coming in at No. 37 in its sixth week this year and 24th week since release, the Dec. 14 Billboard numbers on Thursday showed. Once Upon A Christmas with Kenny Rogers drops eight places to No. 14 country catalog albums in its 88th chart week and its fifth this year, falling off the pop catalog albums tally, down from No. 37 in its third week this year and 19th week since release, and from the top 200 pop albums chart, down from No. 165 in its second week this year and its 23rd week since release. Willie Nelson's To All The Girls, featuring a new Dolly duet, loses a dozen digits to No. 32 country and slips 57 points to No. 170 current albums for its seventh chart week, while falling off the top 200 pop albums, down from No. 133 in its sixth week. Kenny Rogers's You Can't Make Old Friends, also with a new Dolly duet, drops 13 to No. 50 country in its eighth week. Overall, the new Garth Brooks boxed set Blame It All On My Roots: Five Decades Of Influences debuts at No. 1 country, No. 3 pop, while Duck Dynasty's Duck The Halls: A Robertson Family Christmas dips one to No. 2 country and remains steady at No. 4 pop in its fifth week. Dolly has continued over the past few days to promote her upcoming Blue Smoke World Tour. A new interview with the Australian Associated Press was posted Thursday to Yahoo's website Down Under and is available here. Also, Live Nation UK plugged the European leg of the tour by posting three Q&A videos with her a few days ago. The best part is hearing the crew crack up off camera after she answers a question. Watch them here, here and here. Thanks to Carrie for letting me know that Amazon has added Dolly's recent Lifetime holiday film A Country Christmas Story for online streaming viewing. Watch it for 99 cents here! Dolly's classic 1974 recording of "Jolene" is among 27 singles and albums chosen by The Recording Academy as the Class of 2014 for the Grammy Hall of Fame inductees. This marks her second entry into the 960-title Hall of Fame, as her 1974 recording of "I Will Always Love You" was inducted in 2007. To be eligible, songs or albums must be at least 25 years old and "exhibit qualitative or historical significance." Recording Academy President/CEO Neil Portnow said in a press release: "Spanning the 1930s to the 1980s, this year's GRAMMY Hall Of Fame entries represent a diverse collection of influential and historically significant recordings. Memorable and inspiring, these recordings are proudly added to our growing catalog � knowing that they have become a part of our musical, social, and cultural history." The diverse class of honorees also includes Neil Young's 1970 album After The Gold Rush, George Harrison's All Things Must Pass from 1970, Chicago's The Chicago Transit Authority from 1969, Creedence Clearwater Revival's Cosmo's Factory from 1970, Doc Watson's self-titled album from 1964, Creedence Clearwater Revival's "Fortunate Son" single from 1969, Hoagy Carmichael's original 1930 recording of his "Georgia On My Mind," James Brown's 1970 single "Get Up," The Rolling Stones' 1969 single "Honky Tonk Women," U2's 1987 album The Joshua Tree, Kris Kristofferson's 1970 album Kristofferson, War's 1975 hit "Low Rider," the Mary Poppins original film cast soundtrack, Louis Armstrong's 1938 recording "Nobody Knows The Trouble I've Seen," B.J. Thomas's 1969 single "Raindrops Keep Fallin' On My Head," The Sugarhill Gang's 1979 rap anthem "Rapper's Delight," the 1958 album Relaxin' With The Miles David Quintet, Gil Scott-Heron's 1970 single "The Revolution Will Not Be Televised," Sister Rosetta Tharpe's single "Strange Things Happening Every Day" from 1945, blues legend Robert Johnson's "Sweet Home Chicago" from 1937, B.B. King's "3 O'Clock Blues" from 1952, The Drifters' "Under The Boardwalk" from 1964, RUN DMC's "Walk This Way" from 1986, Sam Cooke's 1960 recording "Wonderful World," the 1970 Woodstock album and Charlie Parker's 1946 "Yardbird Suite." Great American Country (GAC) has announced a new special interview with Kenny Rogers and Dolly will premiere on the cable network next week. Kenny & Dolly: An Intimate Conversation is scheduled for a 9 p.m. Eastern broadcast next Monday night on the channel. GAC Vice-President of Programming Suzanne Gordon said in a press release: "To bring viewers a truly unique and remarkable chat between these amazing artists is incredible in and of itself. What makes this even more personal is that it isn't moderated. You have these performers who transcend genre and category, who are larger-than-life figures in American pop culture, just sitting together and having a conversation. It's really special." The chat is characterized as taking place "in a very relaxed setting" featuring the duo talking about their 30-year friendship, their stage chemistry and getting older. In addition to the conversation, the special features archival photos and videos. Ft. Lauderdale, Fla., area residents will want to head out to Stage Door Theatre in Broward to catch Dolly's 9 To 5: The Musical, which Broadway World noted here plays there Dec. 13-Jan. 19. One day after adding another show in New Zealand on her Blue Smoke World Tour, LiveNation Australia on Monday announced two additional shows Down Under. She'll play second dates in Melbourne on Feb. 12 and Brisbane on Feb. 22 in addition to her Feb. 11 and Feb. 21 scheduled concerts in those cities. LiveNation members get a pre-sale starting Dec. 10 and tickets go on sale to the general public Dec. 13. FilmOut San Diego will present Dolly's film debut, 9 To 5, for its monthly screening in December, San Diego Gay and Lesbian News reported here. The screening takes place at 7 p.m. Wednesday at Birch North Park Theatre with $10 admission. Thanks to ticket demand, Dolly over the weekend added a second tour date in New Zealand as part of her Blue Smoke World Tour. Coming the night after her first performance there, the Feb. 8 engagement will also take place at the Vector Arena in Auckland. My Live Nation members get a pre-sale beginning Tuesday, while tickets go on sale to the general public Dec. 9. Down Under, The Very Best Of Dolly Parton, Volume 1 from 2007 slips four to No. 20 in its 298th week on the top 40 Australian country albums tally while The Essential Dolly Parton drops two to No. 24 for a 58th chart week. On the British country compilation charts, Emmylou Harris's Original Album Series, Volume 2 (featuring one track with Dolly harmony and two tracks with Trio harmony by Dolly and Linda Ronstadt) inches up one to No. 2 in its 12th week on the chart, and her first Original Album Series, Volume 1, released in 2011, gains two to No. 3 in its 11th week back on the tally with two Dolly covers, one track with Dolly harmony and one track with Trio harmony, while Ronstadt's Original Album Series (also from 2011 and featuring one Dolly cover and one track with Dolly harmony) slides five to No. 20 in its 10th week back on the charts. A new Texas community is looking at kicking off Dolly's Imagination Library locally, The Marshall News Messenger reports here.